On 7 December 2015 the first part of the Insurance Companies (Amendment) Ordinance (“Amendment Ordinance”) came into force, marking a key milestone in what has been described as “the most important regulatory reform in the insurance sector in the past 30 years”1. comply with the International Association of Insurance Supervisors’ (“IAIS”) Insurance Core Principle that regulators be operationally and financially independent from government and industry. In this context, two fundamental changes introduced by the Amendment Ordinance are the establishment of an independent insurance authority (“IIA”) and the replacement of the existing self-regulatory insurance intermediary regime by an independent regime administered by the IIA. Given the magnitude of the overhaul, the new regime will be implemented in phases, described below. The Amendment Ordinance has been several years in the making and was the subject of intense lobbying by industry. Many concerns were taken on board during the legislative process (some highlighted below) but it remains to be seen how others will be dealt with in practice. We outline below significant and noteworthy features of the new regime. 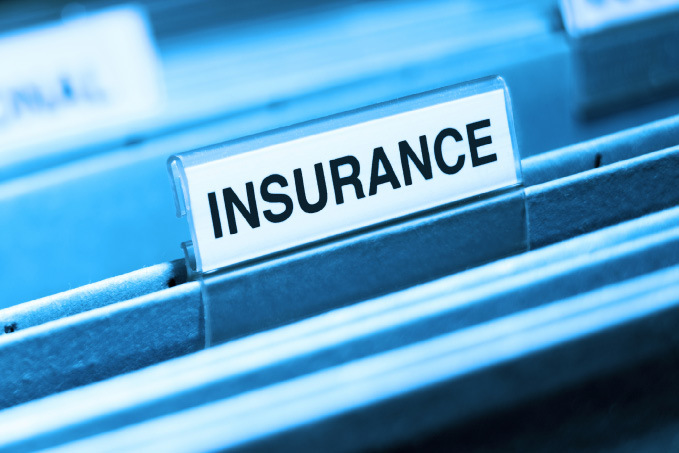 The existing legislation will be re-titled the Insurance Ordinance (“IO”). Stage 1 (end of 2015): Establishment of the Provisional Insurance Authority (“PIA”) – an interim body without regulatory functions which will co-exist with the Office of the Commissioner of Insurance (“OCI”). It is intended that subsidiary legislation and regulatory guidelines will be ready before Stage 2. Stage 2 (end of 2016): PIA to become the IIA and replace the OCI by taking over its regulatory functions. The self-regulatory intermediary regime will continue. Stage 3 (end of 2018 – early 2019): IIA will replace the intermediary regime administered by three self-regulatory organisations (PIBA, HKCIB, IARB)2 (“SROs”). For the first three years of the licensing regime, intermediaries that are validly registered at the outset will be deemed to be licensed under the new regime. Provisions which came into force in December 2015 provide for the establishment of the PIA and related matters. The IIA will be an independent entity with a non-executive chairman, a chief executive officer (“CEO”) and at least six other directors, the majority of whom will be non-executive. At least two of these must have industry knowledge and experience and the others actuarial, legal, accounting, consumer affairs or other appropriate experience. Two principal regulatory functions of an insurance regulator are prudential (financial soundness) and conduct regulation. The statutory functions of the IIA will additionally include promoting “sustainable market development” and the industry’s competitiveness, and assisting in “maintaining the financial stability of Hong Kong”. Industry advisory committees will be established in respect of general insurance and long-term business. Additional committees may be established to deal with ad hoc issues. The Amendment Ordinance introduces the concept of “control functions” – similar to those in place in comparable insurance regimes such as the UK and Ireland. The initial prescribed control functions include risk management, intermediary management, compliance, financial control and internal audit. The Financial Secretary may specify others by notice. Expanding the current requirements, appointments by insurers of directors, “key persons in a control function” and appointed actuaries of long term insurers, as well as controllers of insurers, will require IIA approval and such persons must, on appointment or first acquiring control and thereafter, satisfy fitness and probity requirements. The IIA will issue guidance by way of a code or guidelines on these requirements. As a means to achieve greater policyholder protection, the Amendment Ordinance grants express powers to the IIA of inspection, investigation and disciplining of licensees and regulated persons. This greatly strengthens the regulator’s existing position, as the OCI has powers of intervention, but not, for example, to enter into premises to conduct inspections, undertake investigations or issue reprimands. IIA inspectors will be empowered (similarly to existing powers of the Securities and Futures Commission (“SFC”)) to enter business premises, inspect and make copies of documents, and make enquiries. The IIA may initiate investigations where it has reasonable cause to believe that a provision of the IO may have been breached or that a person is not fit and proper or is guilty of misconduct. It may require a person to produce a record or document or answer questions, or to verify an answer by statutory declaration. The IIA may also obtain a warrant authorising entry, search, seizure and removal of records. An important safeguard against these expanded powers is that responses made and statements given by a person in this context are not admissible as evidence against him in criminal proceedings (other than in respect of failure to comply or other contraventions relating to the investigation/inspection). As regards the regulation of banks’ insurance intermediary activities, the Amendment Ordinance provides that the IIA may, with the Hong Kong Chief Executive’s approval, delegate its powers of inspection and investigation to the Hong Kong Monetary Authority (“HKMA”). This is similar to the arrangements in place between the HKMA and the SFC in relation to securities and futures regulated activities conducted by banks. It should ensure regulatory consistency and minimise overlap. With the IIA being given more bite than the existing OCI, it will be able to exercise disciplinary powers in respect of insurer or regulated person misconduct or fitness and probity failures. Sanctions available to the IIA include revocation or suspension of an authorisation or licence, public or private reprimand or fines. There is potential criminal liability for individual controller(s), director(s) and key person(s) in control functions if an insurer commits an offence and the individual had consented or it was attributable to his or her neglect or omission. The existing intermediary regime whereby oversight of insurance intermediaries is conducted by the SROs will be replaced by a statutory licensing and regulatory regime to be administered directly by the IIA. To minimise circumvention of the regime, the Amendment Ordinance introduces an activity-based regime requiring the licensing of all persons carrying out or holding themselves out as carrying on “regulated activities”, mirroring the securities and futures approach. The scope of “regulated activity” is broad, covering (1) activities relating to arranging or negotiating, inviting or attempting to induce a person to enter into an insurance contract; (2) activities relating to advising on insurance; and (3) sales and after-sales activities relating to policies, conducted as a business or for reward, subject to certain limited carve outs. Brokers: broker company and technical representative. These categories may be reviewed after the transitional period. The IIA will need to be satisfied that licensees are fit and proper, measured by a number of factors, including financial status, qualifications, integrity and compliance history. Another new requirement is the obligation for licensed corporate intermediaries to obtain IIA approval for, and to appoint, at least one responsible officer to oversee the conduct of its intermediary business in Hong Kong. Again, this is a version of existing SFC requirements which require a minimum of two responsible officers for each regulated activity. Both legally and in practice, insurance agents act on behalf of their appointing insurers, and brokers act on behalf of policyholders (and potential policyholders). The new regime maintains the distinction between the two categories of intermediaries and their roles, with some amendments. Insurers expressed concerns that proposed amendments may change the existing scope of liability and override the common law position. The final IO makes clear that although an insurer may not limit or exclude liability for its appointed insurance agents in issuing a contract or related insurance business, having regard to developments in agency law, an insurer is not liable for the act of an insurance agent if the act is outside the scope of the agent’s authority and this was disclosed by the agent to the client before the client relied on the act. The Amendment Ordinance introduces statutory conduct requirements for intermediaries. The broad principles are set out in the legislation and will be supplemented by rules, codes and guidelines. The requirement which has been subject to the greatest criticism is the requirement to “act honestly, fairly, in the best interests of the policyholder [or potential policyholder] concerned”. The industry expressed concern that (1) this unqualified statutory requirement could give rise to a statutory cause of action by customers, and (2) insurance agents would face difficulties given their duty to act in the interests of their appointing insurers and as they would not have access to the products beyond their appointing insurers. 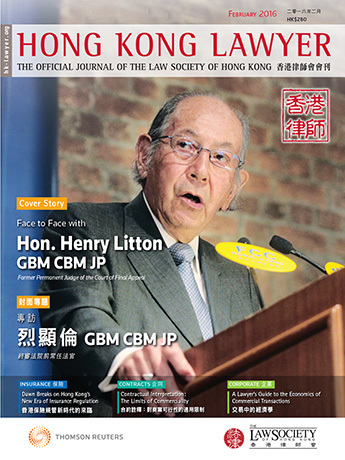 The Government’s view was that the “best interests” requirement is not new to the insurance sector or Hong Kong (eg, it can be found in the in-force guideline on replacement of life policies issued by the Hong Kong Federation of Insurers). The legislation as passed expressly provides that a breach of a specified conduct requirement does not by itself render a person liable to judicial proceedings (however, disciplinary action may be taken) and that the “best interests” requirement does not affect common law rights or whether a breach of other provisions of the IO may give rise to a cause of action. One of the key checks and balances is the establishment of the Insurance Appeals Tribunal (“IAT”). Currently, certain decisions of the OCI may be appealed to the Financial Secretary. The IAT will be an independent quasi-judicial body to review specified decisions and determine questions arising from a review. The long-term goal is that the IIA will be self- and industry-funded, without requiring public monies. Initially, to assist with its establishment costs, the Government will provide HK$500 million, following which it is proposed that its costs will be met by levies (70 percent) and user and licence fees (30 percent). We understand that for the initial five-year period after its set-up, licence fees for intermediaries will be waived. Levies and fees will be set out in subsidiary legislation. The changes introduced should be welcomed as a means of improving Hong Kong’s attractiveness as a hub for international and regional insurance groups and indeed the establishment of the IIA was necessary to comply with IAIS Core Principles. It also delivers greater consistency in approach as between Hong Kong’s financial services sectors given the similarities and replication in some cases of the equivalent securities and futures provisions. However, the additional compliance and administrative burden for insurers and particularly intermediaries generated by enhanced corporate governance and fitness and probity requirements of authorised entities and personnel should be monitored. While broadly these improvements are a positive development for the industry and ultimately policyholders, if they become unnecessarily unwieldy and costly they could drive smaller outfits out of the market, ultimately reducing competition. In any event, we expect to see consolidation of intermediaries as a result. As with any other major financial services centre, the regime will no doubt develop and adapt as it matures and this is undeniably the first stepping-stone in a long journey ahead. 1 Legislative Council Brief C2/2/50C . 2 Professional Insurance Brokers Association, Confederation of Insurance Brokers, Insurance Agents Registration Board.